Are you looking for an affordable excellent higher education? 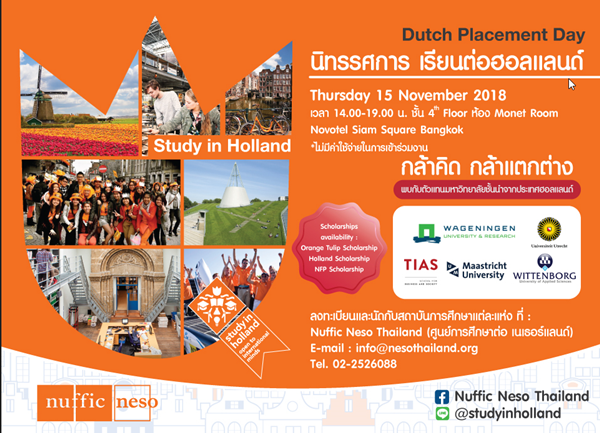 Join us at Dutch Placement Day ( DPD ) on Thursday, November 15 2018, at 2 pm onwards. Meet up with Top Dutch research & applied sciences universities! info@nesothailand.org for more information, please call 02- 2526088.